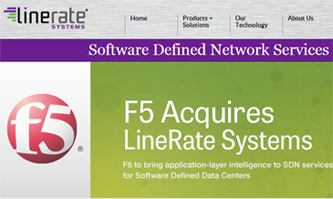 F5 Networks agreed to acquire LineRate Systems, a start-up targeting software defined networking (SDN), for an undisclosed sum. The acquisition is not expected to have a material impact on F5's operating results. LineRate Systems, based near Boulder, Colorado, provides software that offers layer 7+ network services. LineRate’s early-stage, application layer platform leverages commodity x86 hardware and uses a proxy-based architecture similar to F5's BIG-IP. F5 said the LineRate acquisition aligns with F5’s vision for application control plane architecture and goal of delivering application-layer SDN services to bring superior agility, application intelligence, and programmability to software defined data centers. Mellanox Technologies introduced new RDMA InfiniBand and Ethernet long-haul interconnect solutions for within and between data centers across multiple geographically distributed sites. MetroDX TX6000 – MetroX based system aimed at internal data center long reach connectivity or between close data center compute and storage infrastructures. The TX6000 supports 18 long-haul ports running 40Gb/s to a distance up to 1,000 meters. 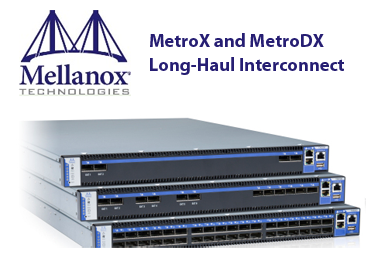 MetroX TX6200 – MetroX based system that enables longer reach campus and metro data center connectivity. The TX6200 supports 2 long-haul ports running 10/40Gb/s to a distance up to 100km. The two new systems are in addition to the recently announced MetroX TX6100 system, which supports 6 ports running 40Gb/s to a distance up to 10km. MetroX will be available during the second quarter of 2013. Reliance Communications awarded an eight-year, managed services contract to Ericsson valued at US$1 billion to operate and manage wireline and wireless networks in the Northern and Western states of India. Under the deal, Ericsson will manage the day to day operations across wireline and wireless networks and will take over responsibility for field maintenance, network operations and operational planning of Reliance Communications 2G, CDMA and 3G mobile networks. Reliance Communications' infrastructure covers 24,000 towns and 600,000 villages in India to which it offers converged services including voice, data and video. "We are happy to announce our partnership with Ericsson to manage our wireline and wireless network enabling us to provide a higher level of customer experience in terms of network and services. Given the complexity of network increasing with platforms, technologies and application offerings, we are banking on the experience, innovation and technical expertise of Ericsson to improve the productivity of our network and ensure that it delivers to its full potential," stated Gurdeep Singh, Chief Executive Officer - Wireless Business, Reliance Communications. Phase 3: Part One testing was performed in the 700 MHz Band 14 spectrum which supports broadband for public safety. Motorola was able to support interoperability at both S1-Mobility Management Entity (MME) and S1-User (U) interfaces utilizing its RAN and EPC with the three network vendors. The interconnectivity of both the RAN and EPC demonstrated Motorola’s solution to support open network architecture under 3GPP standards. 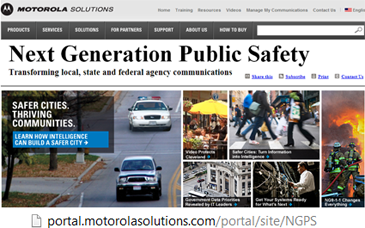 Motorola described the testing as a key milestone toward Motorola becoming an authorized supplier to FirstNet, the nationwide public safety broadband network, and shows Motorola’s continued support of the work of the PSCR team. In September 2010, Motorola and Ericsson entered an alliance to provide an LTE-based solution for Next Generation Public Safety broadband communications. Ericsson is providing its LTE access equipment as well as parts of its packet core and related services to deliver broadband multimedia services to public safety. Cobalt Data Centers opened a new 34,000 square-foot, 5.5 megawatt data center in Las Vegas accommodating more than 450 cabinets and power capacities up to 600 watts per square foot. 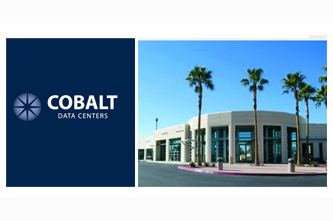 The facility, which is the first of two Tier-3 compliant data centers that the company has planned for Las Vegas, incorporates a high-density and distributed power infrastructure. Other advantages is that Nevada is known for its attractive tax environment and is protected from natural disasters. 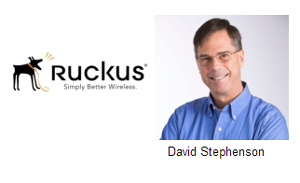 Ruckus Wireless appointed David Stephenson as Senior Principal Engineer within its System Architecture group. Stephenson is the current chair of the Wi-Fi Alliance Hotspot 2.0 Technical Task Group. He previously worked at Cisco Systems for nearly 14 years within its Wireless Networking Business Unit. At Cisco, Stephenson was responsible for the technical architecture of Hotspot 2.0, driving that program since 2009. Stephenson is credited with draftring much of the IEEE 802.11u amendment. He also held the position of Secretary for the IEEE 802.11 TGu, and worked on both the Wi-Fi Alliance Hotspot 2.0 Specification as well as the Mobility Services Advertisement Protocol (MSAP).